The year is 2039. The world has progressed into an amalgam of social media anonymity and dystopian programming. The penal system has been co-opted, allowing citizens to dictate day to day choices for inmates, such as what they eat and wear. 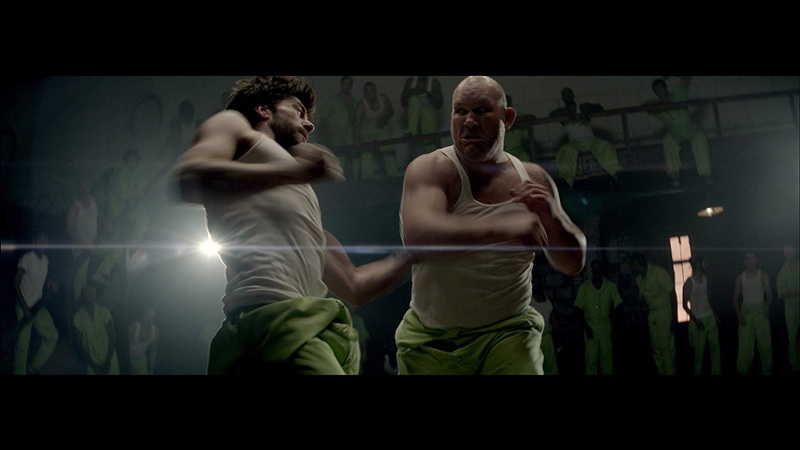 As mega corporations attempt to evolve the concept into an entire town of programmable convicts, a group of rebels attempts to destroy the system from within. S.A. Halewood's third feature film attempts to leapfrog past the expected tropes of the genre and focuses on the loss of personal agency in the wake of governmental and technological control with mixed results. The script (written by Halewood) stays within the lines whenever it can, but whenever it breaks with tradition, Division 19 becomes far more interesting. There are minor gaps in logic that create a cyclical ambiance, which in retrospect, is perfect, given the subject matter. Wearing its influences on its sleeves, this film is a welcome foray into the dark side of the electronic age, a topic that becomes more relevant every day. One of the most interesting aspects of the film is its production design. Halewood and her crew use various tricks throughout to present a lived in, used up world that is bifurcated into a hellish wasteland and a sterilized over-world of mindless consumption. Linus Roache (Mandy) heads an outstanding ensemble as a corporate operative at odds with both rebels in the streets and professional rivals eager to unseat him. The dichotomy between these two levels grows thinner as the narrative progresses with agents from the prison population coming into contact with the upper echelons. Ultimately, there are pieces of a grand design hidden underneath the low budget veneer, and while they fail to coalescence into anything fresh, the undeniable grit of the cast and crew shines, particularly with an excellent cameo from The Wire alum Clarke Peters. While comparisons to Blomkamp are unavoidable, Ben Moulden’s washed out cinematography creates a unique identity for Halewood’s vision. 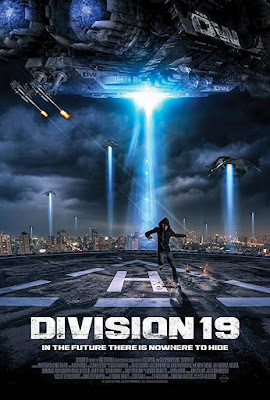 There are the usual trappings of a VOD science fiction film, yet, they are housed within an undeniably slick package, that ultimately pushes Division 19 above the rank and file. Available today for streaming on demand, Division 19 is a predictable, but fun sci-fi romp through familiar oppressive territory. Building upon ideas explored throughout the decades, it presents a dingy, soiled mirror of the world we live in today and more importantly, where we're headed. If you're more interested in the ride than the destination, this is an excellent popcorn experience that shows its creator has a lot to offer the medium.